It looks like Netflix is giving Marvel’s Iron Fist another chance. Deadline reports the streaming service has renewed the TV show for a second season. Despite a largely negative response from critics, Netflix has decided to greenlight another season of Marvel’s Iron Fist. It’s likely the streaming service ordered another season just to keep their Marvel franchise intact. Jones will star as the titular superhero in the upcoming mini-series Marvel’s The Defenders, which premieres on August 18th. What do you think? 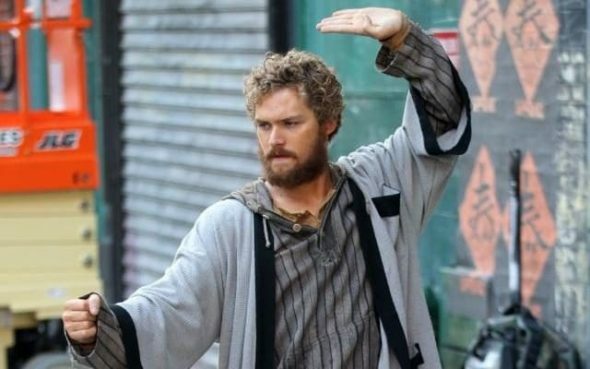 Have you seen Marvel’s Iron Fist? Will you watch season two? The show is honestly waaaay better than both luke cage and Jessica jones which weren’t as intriguing and quite frankly almost boring.. the fighting sceens i would have liked if they were more realistic but Danny was my favorite, i loved the whole centering your chi for power it was actually inspiring. So yes i need a season 2 and by far iron fist was my favorite of the defenders. Wasn’t this Netflix’s most popular show on the service when it premiered? No surprise they renewed it. Really wanted to like this, watched 8-9 episodes but characters weren’t showing any kind of growth – and when the Dawson character started in on the same ol same ol about killing, taking a life, blah blah blah, they lost me.